Leave your name and email to receive a FREE ebook in your inbox! Creative MindDesign is a small introduction to the courses I offer on this site. I also am currently writing for a middle grade audience (9-12). These books feature the core themes my courses are based on. The main characters are struggling with finding their place in their world and discovering what values are important to them. I also hope they’re entertaining stories. Click the BUY NOW button to learn more about each book on Amazon. The human race is searching for happiness. No matter where you are in life, it is absolutely possible to be happy, but it’s up to you to make it happen. The psychology of happiness, success and wealth is well documented and researched. Learn how this can be applied to your own creative life. Find yourself a little notebook and dig deep into the exercises because you’re really going to get to know your true self, the block’s that are holding you back from your purpose and you’re going to create a road map to your dream writing life. The Earth is resting and healing but some people never learn! Destruction is on the horizon again! Silan and Marinet are young but they are the only ones willing to help. The girls journey to find a destructive source of power. If they can destroy it in time, the natural world might not turn against them. Aila can’t stand to live as a slave to her great aunt! She needs to run away! No more cleaning the kitchen and feeding the pigs. She knows there’s more to life! Dragons, villains, deadly swamps! Aila and her best friend, Corin, face it all as they journey to find their purpose in a world that will challenge them at every turn. 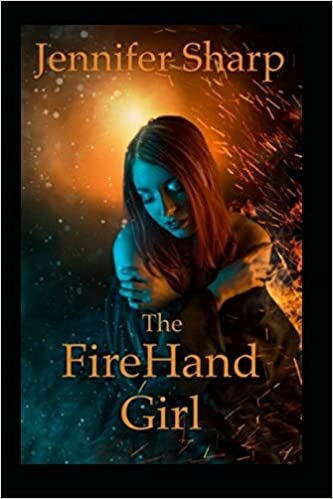 The FireHand Girl is a story about Purpose. It is something that many struggle with and it seems to give us meaning, but from Aila’s story, we learn that Purpose is ever changing and ever at work in our lives, even when we are unaware.